Oh! 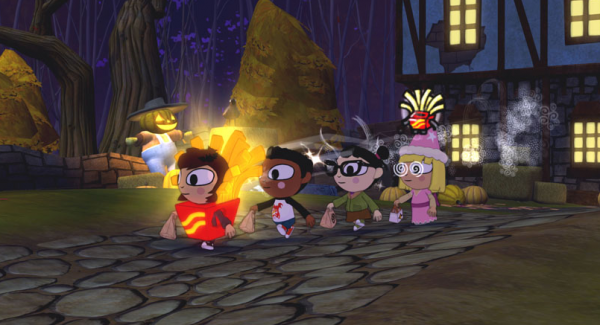 I should push through Costume Quest, too! I have it on Steam. Admittedly, I probably won't get to it, since I'm neck deep in GTAV and about halfway through Pokemon X (which I am LOVING). As for you loving Pokemon X: YAY! How are you liking GTAV so far? And are you playing it on PS3 or PC? Oh, PS3. The PC version isn't out yet. I'm enjoying it way more than I thought I would, honestly. The characters are great, the missions are FAR less tedious than in previous iterations, and the world is GORGEOUS. Ah, I didn't know that. I'm not exactly the most educated person when it comes to this series, if you couldn't tell already :) Anyway, I'm glad you're enjoying it! 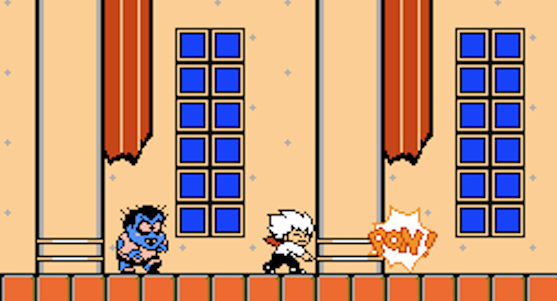 I gave Kid Dracula a try! It's a pretty fun game, and young Alucard's has some charming animation (his upward attack is adorable!) though I found the slow walking speed pretty maddening. I didn't finish it, I'm sure I could have made it (not sure how long it is) but in the desert level I decided I'd had enough. I haven't tried the GB one, I wonder if it's a little faster? By the way, if a translated rom exists, I'd recommend playing with that (or otherwise be playing via emulator), one of the bosses is a quiz show that has very easy questions, but you do have to read the questions and answer quickly! 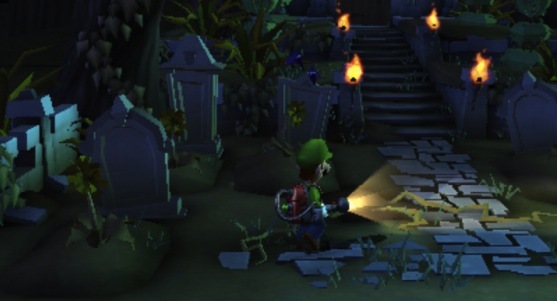 Ah, I didn't realize the game featured slow walking speed. That is a bit maddening sometimes, isn't it? I hear ya, Michael. I'm guessing it the game were made today, it would feature a run button or something, but of course at the time such an option wasn't as obvious an inclusion as it is today. Anyway, I'll give it a try sometime this week or weekend and let you know what I think of it! Kid Dracula is adorable! I've always wanted to play it. The closest I'll probably get to playing a game to get in the Halloween spirit is the All Saints' Wake holiday event in Final Fantasy XIV. I'm just too busy! Haha. Ah, you're still obsessed with FFXIV, eh? I love it! And are you busy with your studies now that you're back from vacation, or busy with gaming stuff? Or both? Oh, I completely forgot that you were interested in Rune Factory 4, Anne. Have you played any of it at all at this point? If so, what do you think of it? Hey, are you getting Hometown Story, or are you passing on it (at this point at least)? I should have my copy by the end of the week, and I'm really looking forward to trying it. I'm doing pretty bad myself with October horror games. I'm slowly getting through Project Zero 2 but between work and then deciding I really needed to finish Ninja Gaiden 2 it's been slow going. The XBox version actually. I must pick up the Wii one myself before it becomes next to impossible to find. I like it. It always surprised me that kid-friendly Nintendo would allow an NES title where the children you're trying to protect can get killed off. As for Hometown Story, I really wish I could like it but the art style kind of bothers me :( I'm sure it's fun to play, though! I imagine I might pick it up eventually but it's not high on my list right now. AND now you've reminded me that I've also started Etrian Odyssey Untold, haha! Need to get back to that one.